Homeostasis is the ability to maintain a constant internal environment in response to environmental changes. Our body instinctively and automatically adjusts itself all day long in order to maintain the correct internal environment for health. An obvious, visual example of this is the regulation of body temperature. We sweat to cool off on a hot day, we shiver to produce heat in cold weather. To take this a step further when we are ill and fighting dis-ease our body instinctively adjusts itself to restore health. 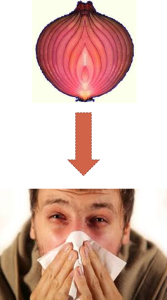 To look, once again, at the common cold, when we pick up a cold our nose runs, our temperature goes up this is the body trying to eliminate the toxins through sweat and nasal discharge. If you are unfortunate enough to get food poisoning, the body reacts intensely and rapidly in order to eliminate the bacteria through vomiting and diarrhoea. What do we do? We take medication to stop the diarrhoea, to stop the runny nose, we do everything we can to stop the instinctive response of our own body. Our internal survival instinctive kicks in to restore health and we take medication to stop the process. Thankfully Homeopathy takes a different approach. We use the method of matching Like with Like to continue the process our body has already begun. We don’t try to suppress the healing symptoms, we use those symptoms as clues to help us select the right Homeopathic Remedy. A homeopathic remedy produced from a substance that would produce those same symptoms in a health person is prescribed and the Remedy works with not against the body helping it along the healing path it has already embarked upon to restore health. So, to return one last time to the example of the cold. Conventional medicine would suggest taking one of the many cold medicines available to stop the symptoms of a runny nose. 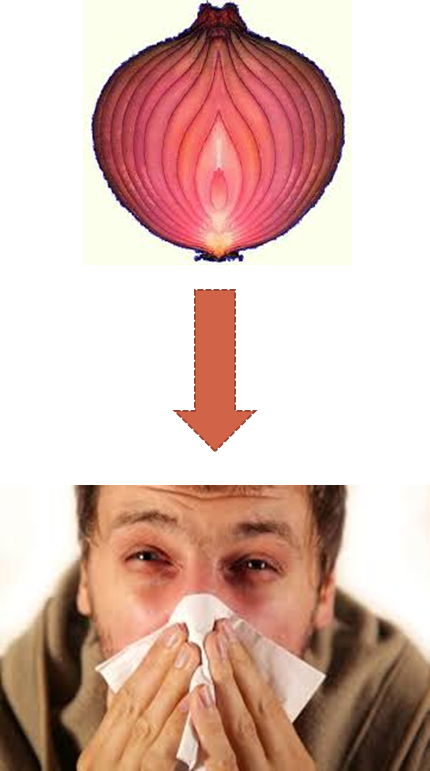 A Homeopath would suggest a remedy such as Allium Cepa, which will not suppress the symptoms but nudge the body along the route it has already commenced so that the symptoms will stop because the body, with the aid of the Remedy, is restored to health, not because a synthetically produced medicine has made them stop. Homeopathy works with the body’s natural flow towards health, not against it. And just as it is easier to run with the direction of the wind rather than against it, it is easier to flow with our natural instinct rather than against it. If, like me, this makes perfect sense to you and you would like to learn more about using Homeopathic Remedies maybe you would like to attend a course on using Homeopathy in the Home. The next course will commence in September 2015, register now so you are guaranteed a place.